Republicans outraged following announcement that the Obama administration is buying 32 metric tons of Iranian heavy water. 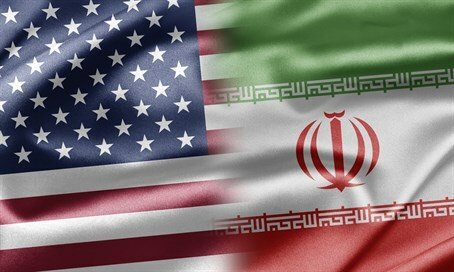 The United States is buying 32 metric tons of Iranian heavy water, a key component for one kind of nuclear reactor, The Associated Press reported on Friday. The purpose of the transaction is to help Iran meet the terms of last year's nuclear deal under which it agreed to curb its atomic program in exchange for billions of dollars in sanctions relief, according to the news agency. The State and Energy departments said a sales agreement would be signed Friday in Vienna by officials from the six countries that negotiated the nuclear deal. The agreement calls for the Energy Department's Isotope Program to purchase the heavy water from a subsidiary of the UN atomic watchdog, for about $8.6 million, officials said. They added the heavy water will be stored at the Oak Ridge National Laboratory in Tennessee and then resold on the commercial market for research purposes. Heavy water is not radioactive but has research and medical applications and can also be used to produce weapons-grade plutonium. Under the nuclear deal signed with the West last year, Iran is allowed to use heavy water in its modified Arak nuclear reactor, but must sell any excess supply of both heavy water and enriched uranium on the international market. Before the nuclear deal was implemented, Iran poured concrete into the core of the Arak nuclear reactor. Ryan added in a statement quoted by Reuters that the purchase appeared to be part of the Democratic administration's efforts to sweeten the nuclear deal with Iran and would "directly subsidize Iran’s nuclear program." The Energy Department, however, said the heavy water purchase does not go beyond the scope of the nuclear agreement, and stressed that future purchases were not automatic. "The United States will not be Iran's customer forever," it said in a statement quoted by AP. "It is exclusively Iran's responsibility to find a way to meet its (nuclear deal) commitments, whether that is by selling, diluting or disposing of future stocks of heavy water to remain within the (deal's) limit." Congressional Republicans were not convinced, with Rep. Ed Royce (R-CA) saying, "Once again, the Obama administration is handing Iran's radical regime more cash. U.S. purchase of this sensitive material goes well beyond what is required by the nuclear agreement. Far from curbing its nuclear program, this encourages Iran to produce more heavy water to sell — with a stamp of U.S. approval — on the international market." House Majority Leader Rep. Kevin McCarthy (R-CA) said the heavy water purchase sets a "dangerous precedent." Republicans have been critical of the Obama administration over what they see as it being too soft on Iran. The most recent criticism came when it was reported that the Obama administration is considering easing financial restrictions that prohibit U.S. dollars from being used in transactions with Iran.